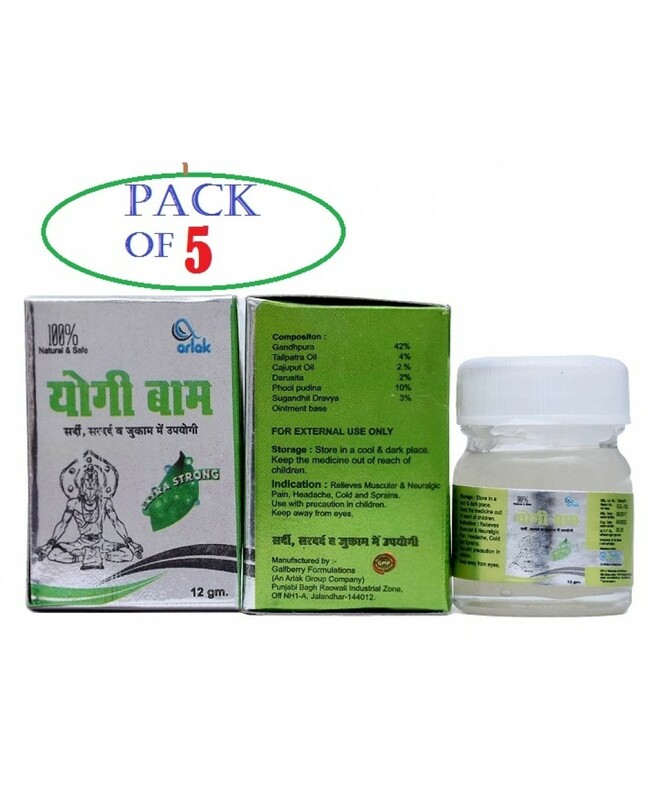 Arlak Yogi balm is one of the best product which helps in relieving headache etc. As we all know that Headache is one of the most common problems which every Indian facing. So you can get rid of all the problems of a headache with this product. The medicinal value present in the product which is frequently used in Ayurveda and folk medicines. The ingredients have the potential aroma to cure all types of a Mild headache and helps in relieving from mental stress. Also, it has ingredients that help in relieving muscles, Neuralgic pain, cold, and sprain. gandhpura 42%, tailpatra oil 4%, cajuput oil 2%, darusita 2%, phoolpudina 10%, sugandhitdravya 3%.